Ideal for displaying, storing and protecting artwork, documents, prints, posters, architectural drawings, maps, plans, presentations and much more. These ultra-light and super-strong sleeves are made from heavy-duty 8 mil rigid clear flexible vinyl with reinforced double stitched binding on all sides. The opening is on the short side. Includes a removable two-sided white acid-free cardboard insert for rigidity. 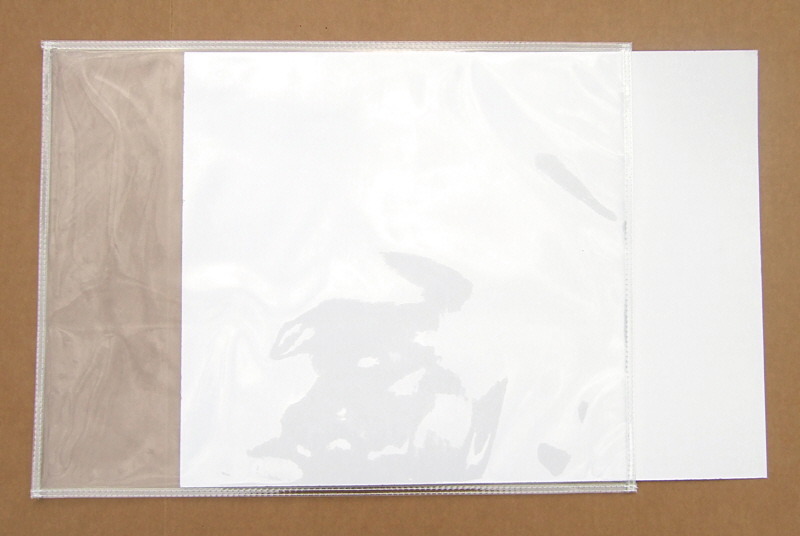 Artwork may be inserted and displayed on both sides. Fits artwork that measures 25"x32" or less. Ideal for displaying, storing and protecting artwork, documents, prints, posters, architectural drawings, maps, plans, presentations and much more. 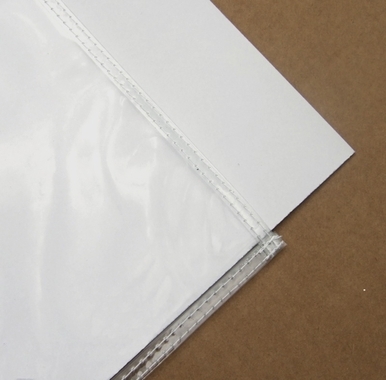 These ultra-light and super-strong sleeves are made from heavy-duty 8 mil rigid clear flexible vinyl with reinforced double stitched binding on all sides. The opening is on the short side. Includes a removable two-sided white acid-free cardboard insert for rigidity. Artwork may be inserted and displayed on both sides. Fits artwork that measures 20"x26" or less. Fits artwork that measures 20"x26" or less. Ideal for displaying, storing and protecting artwork, documents, prints, posters, architectural drawings, maps, plans, presentations and much more. These ultra-light and super-strong sleeves are made from heavy-duty 8 mil rigid clear flexible vinyl with reinforced double stitched binding on all sides. The opening is on the short side. Includes a removable two-sided white acid-free cardboard insert for rigidity. Artwork may be inserted and displayed on both sides. Outside dimensions are 24"x36". We recommend using a larger size for 24"x36 artwork. Ideal for displaying, storing and protecting artwork, documents, prints, posters, architectural drawings, maps, plans, presentations and much more. These ultra-light and super-strong sleeves are made from heavy-duty 8 mil rigid clear flexible vinyl with reinforced double stitched binding on all sides. The opening is on the short side. Includes a removable two-sided white acid-free cardboard insert for rigidity. Artwork may be inserted and displayed on both sides. Fits artwork that measures 31"x40" or less. Fits artwork that measures 31"x40" or less.